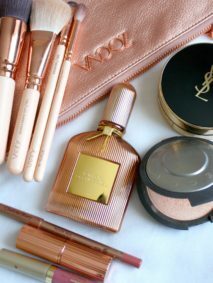 Every girl has some make-up or skincare pieces that she can’t live without (at least for some time until she finds something new). There are some items I use very often and I recommend it to my friends. It may not suit everyone, but I’m convinced that some people might find it as good as I do. I’ve chosen just a few bits and pieces, I really have a few more on my “best ever” list, which I will be revealing gradually. 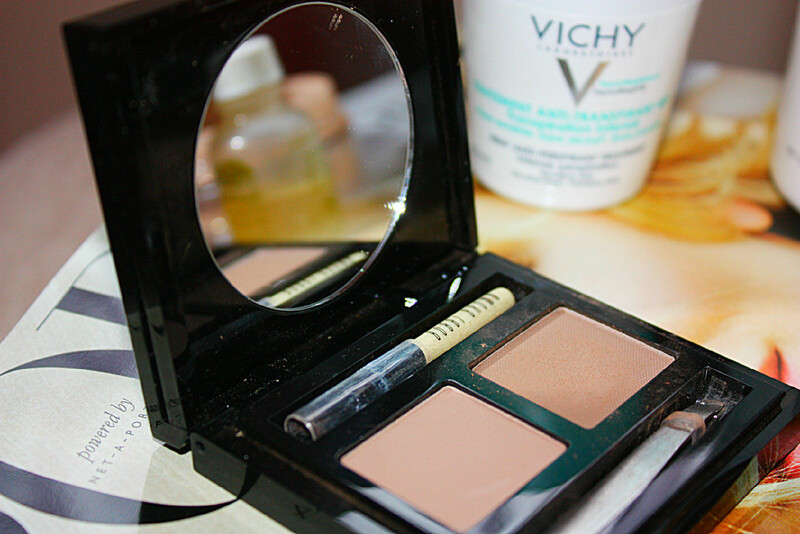 It’s a very intriguing product, which I received as a free gift when subscribing Vogue magazine. It’s actually a powder, that is used as a face wash. You spill a small amount on your hand and add a tiny bit of water to turn it into a paste. Then you wash your face with it. It’s very pleasant to use and leaves skin as smooth as after a face scrub, even though you can’t feel any scrubbing particles. Unlike some hard scrubs you can use it on a daily basis. I use it before going out or any special occasion. It makes my skin smooth without any redness (which I have after traditional face scrubs), so it’s a great start for a perfect make-up. Next one is a must-have for anyone with a skin prone to some blemishes ever so often – Origins Spot Remover. It is an old version and the new product is in a blue bottle. Even though it’s 10ml it lasts ages, that’s why I still have half a bottle of this gel which I purchased ages ago. 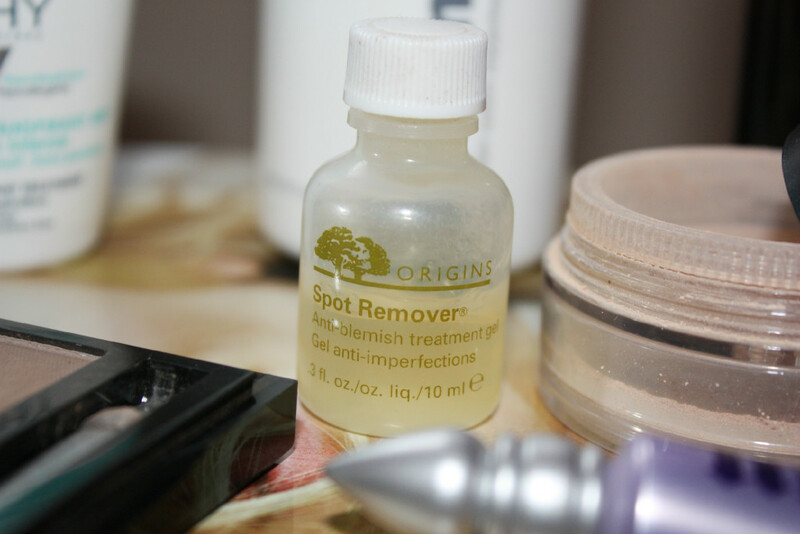 It’s just brilliant – you apply a tiny amount on a spot at night and it disappears by next morning. 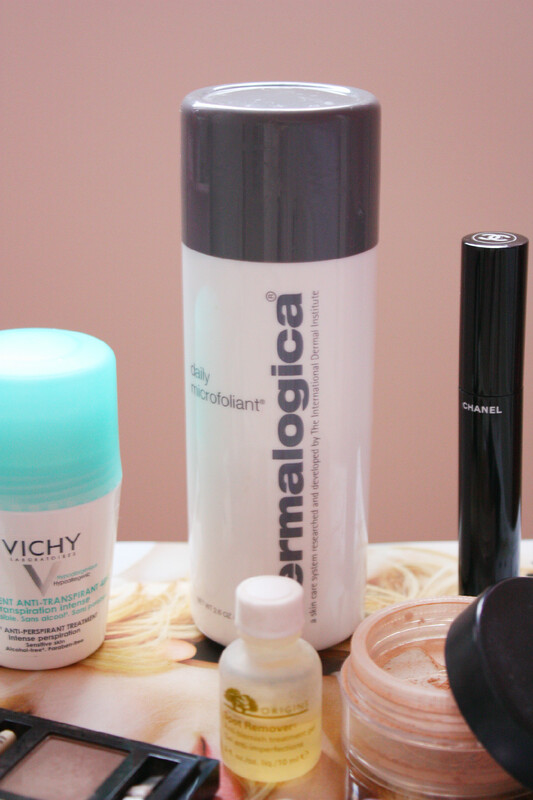 It’s not to be used all over your face – definitely too strong, but locally on a single spot it works miracles. It’s my latest discovery. 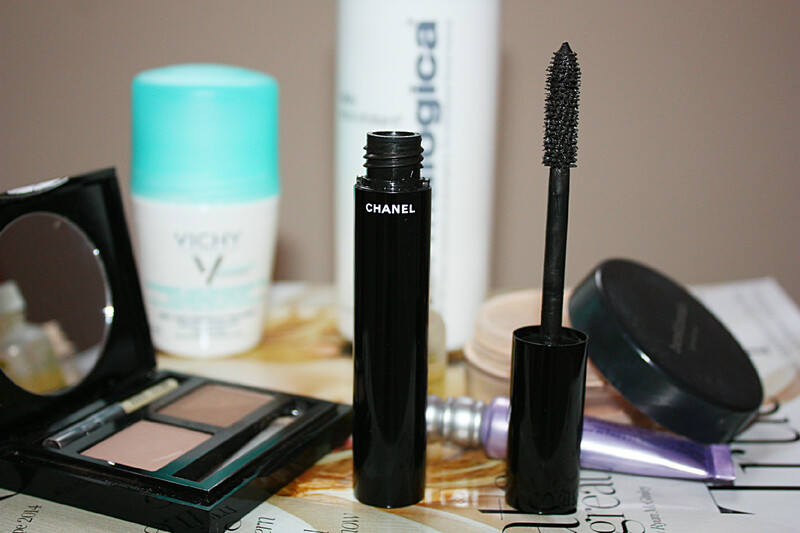 For years I was the biggest fan of Lancome Hypnose range (and I still love it), but recently I purchased this new Chanel mascara and I’m in love with it. It does exactly what mascara should do. My lashes look much fuller, they’re nicely separated, not stack together and it gives a great definition to my eye make-up. 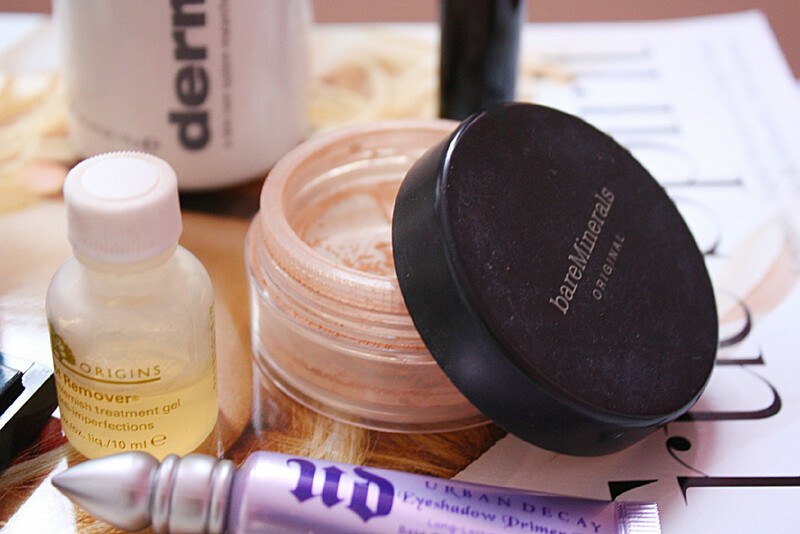 BareMinerals face powder is like a foundation, but in a powder form. 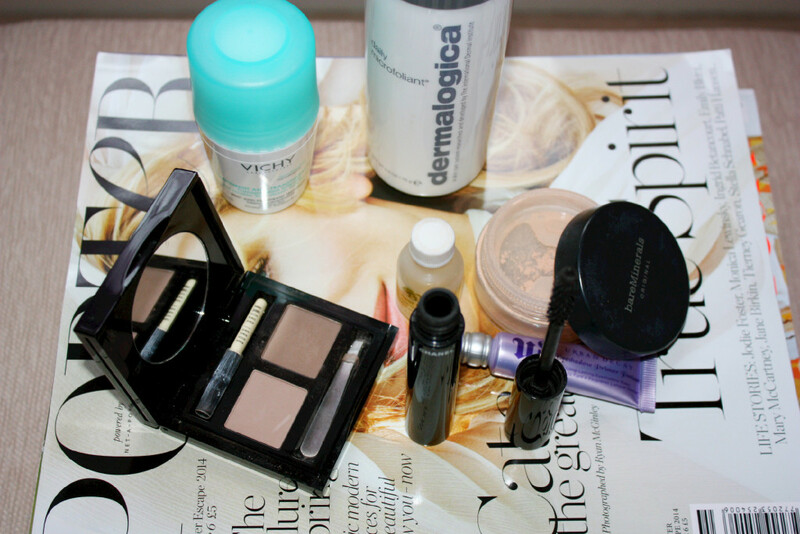 On a daily basis I try to keep my make-up very simple and quite often I use bareMinerals instead of a liquid foundation. It’s brilliant, it’s very nice and natural looking option and very quick to use. It doesn’t give a great coverage, but it does cover some if you use a bit more and blend it with a brush. I bought it as a starter kit which came with a veil and warmth but I hardly ever use it, but the brushes that come with a kit are very handy. Moreover mineral foundations are healthier for skin than any other. Urban Decay eyeshadow primer potion is a masterpiece of primers. I don’t go without it. 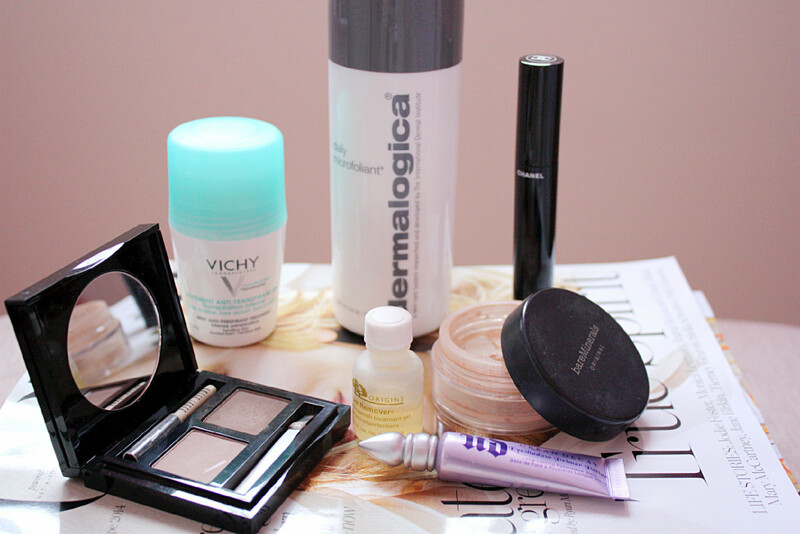 It really works and keeps my eye make-up intact for a whole day. I love it for any special occasions, when I need to look perfect all night. 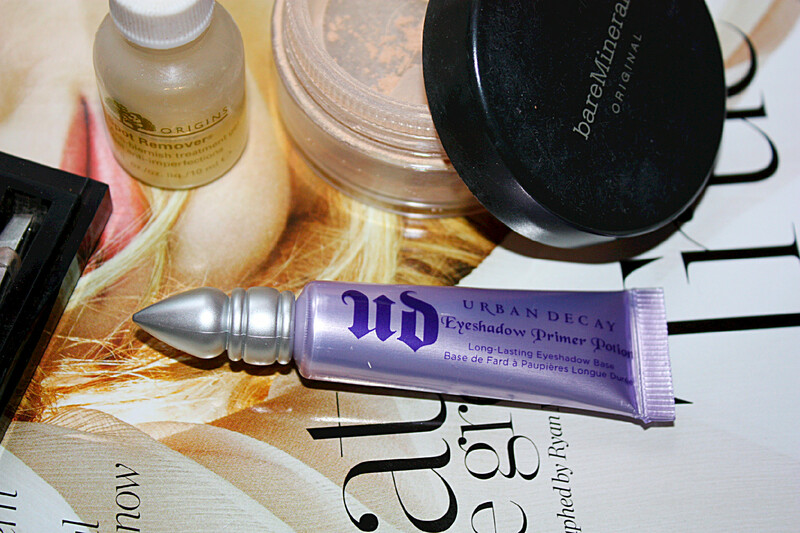 I’ve tried some different brands eyeshadow primers and nothing was as good as that one. For some reason the best value for money is to buy a travel size rather than a full product (that’s very unusual in that industry). It’s definitely worth it’s price and a small tube lasts a long time, as you only need a bit to apply. Bobbi Brown brow kit was my discovery a while ago. I have pretty dark eyebrows so I always thought I didn’t need to use anything on it. Oh, was I wrong. One day a had a make-up done at a Bobbi Brown’s counter and a make-up artist used it on me. I fell in love how natural my eyebrows looked but defined at the same time. I’m not a fan of eye pencils and I always avoided it, so this is a great alternative. The kit contains a little brush and tweezers, which is very useful. 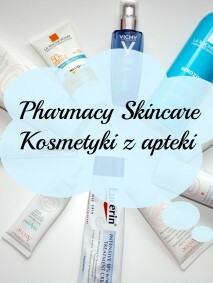 It’s better to have a professional to show us how to use it properly for the best result. 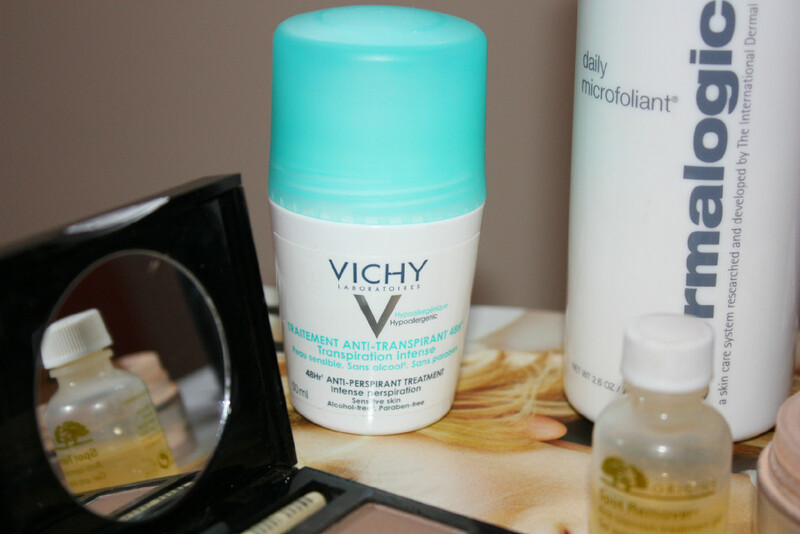 Last piece is Vichy 48 hours antiperspirant. Just the best antiperspirant I’ve ever used. I’ve been using it continuously for last couple of years and I never had any wet patches on my shirt, even in a very stressful situation.